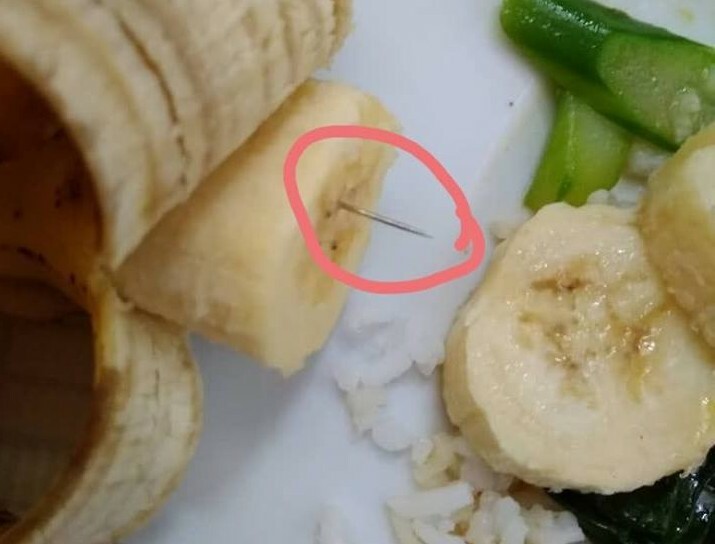 Malaysia, Penang: A man’s aunt was shocked when she was eating a banana half way when she discovered a needle hidden in the mid-section of the banana. It has been common knowledge, that people are spreading AIDS by doing this. According to the person that posted the news. The banana originated from a fruit shop in Penang. It is so difficult to defend against this. What we can advise is always eat slowly, chew slowly and open your eyes wide!